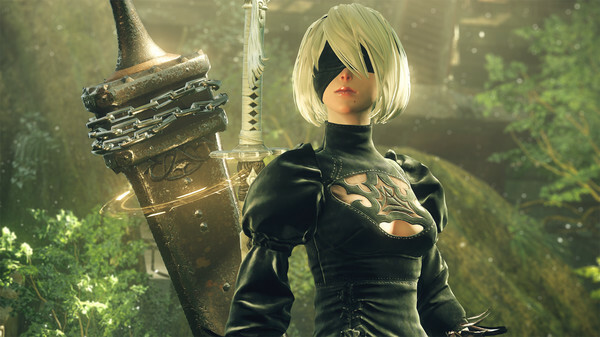 After completing the purchase of the game NieR: Automata, you get a license activation key immediately after payment in your account http://www.oplata.info. Invaders from another world attacked suddenly, bringing down all the power of living machines on people. In the face of an apparently invincible threat, the human race was forced to leave the earth and take shelter on the Moon. Exiled humanity created an army of androids, designed to rebuff the horde of machines, but could only slow its progress. To remedy the situation, a new generation of androids soldiers - the Yorah division - was thrown directly into the thick of the bout. Down there, among the abandoned ruins, the flames of war are raging. War, which will soon reveal the long-forgotten mystery of the world. ● Saturated by the action of the battle. 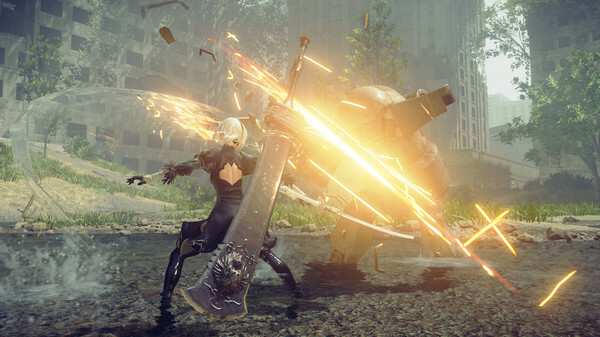 Players will alternately use their melee and ranged skills, battling with difficult bosses and hordes of enemies on a variety of open maps. Adjusted management and incredibly flexible combat system will be easy for novice learners, but at the same time they will leave skilled players with the opportunity to hone their skills. ● Beautiful open world of an abandoned land. 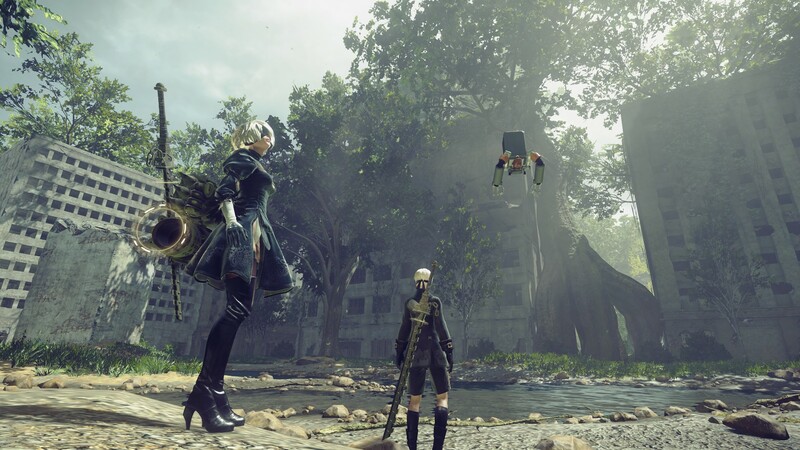 In the game, fascinatingly beautiful places and views alternate smoothly and without loads. 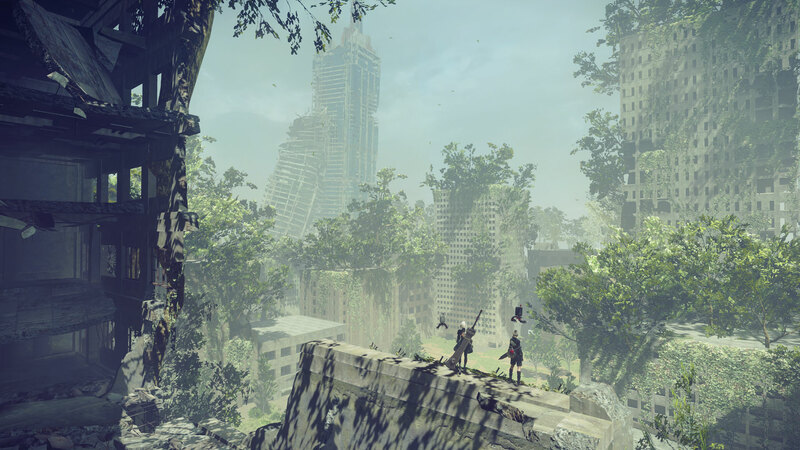 The environment is reproduced with a frequency of 60 frames per second, and players are waiting for a lot of side events, complementing the central storyline. ● Skillfully worked story and characters. 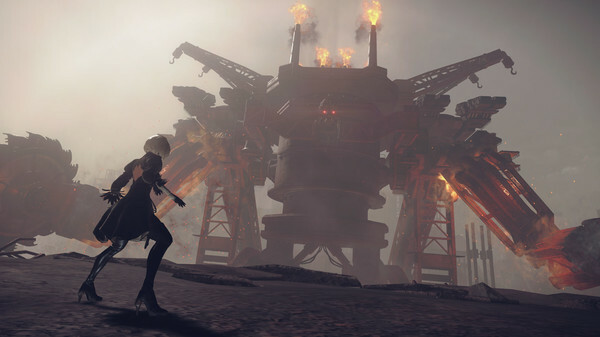 NieR: Automata will tell the story of androids 2B, 9S A2 and their fierce struggle for the conquest of the ruined world, which fell under the power of powerful machines. ● RPG elements. 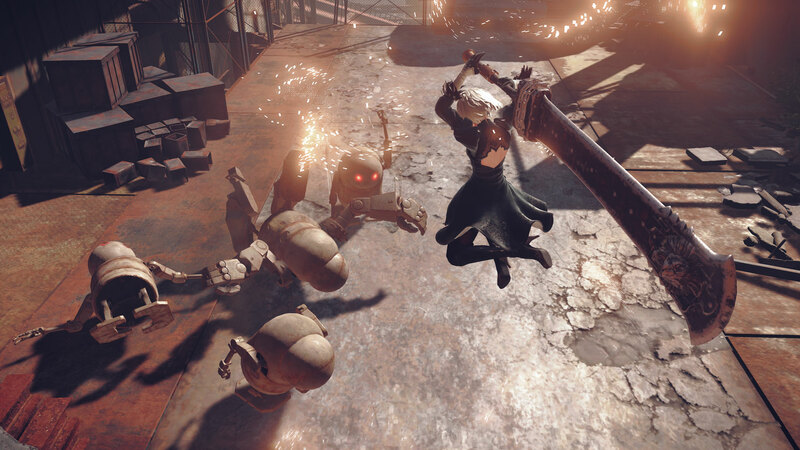 Players will have at their disposal a rich arsenal of weapons, will raise their level in battles, learn new combat skills and customize the equipment to their style of play. ● Support for unmanned robotic escorts (Pods) during combat and between battles. 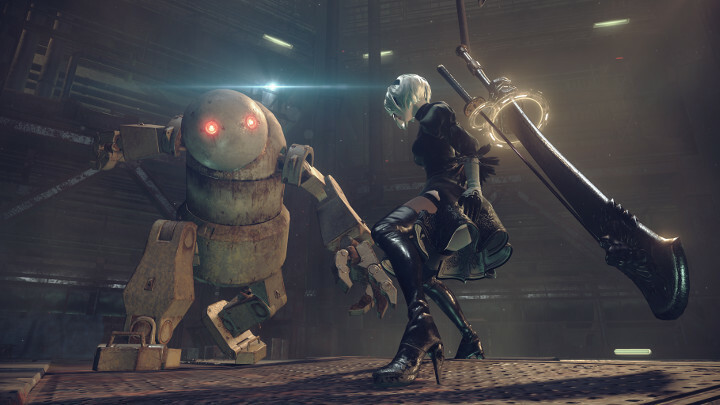 Robots can attack opponents automatically or under player control. 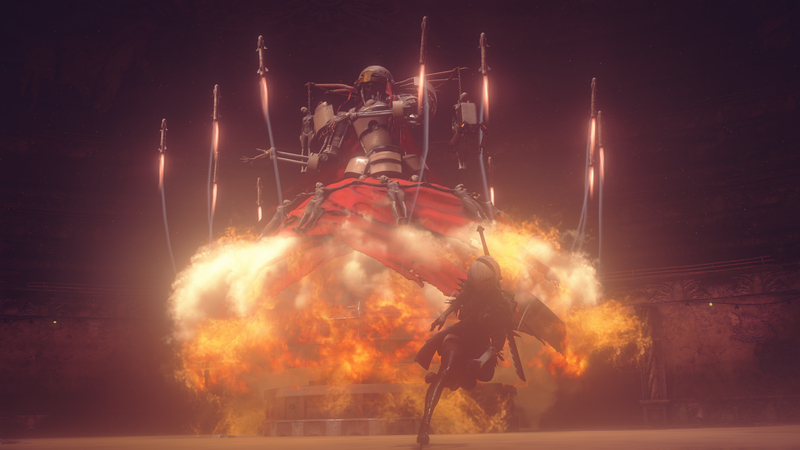 They can also provide not only fire support, but also, for example, carry the player through the air. 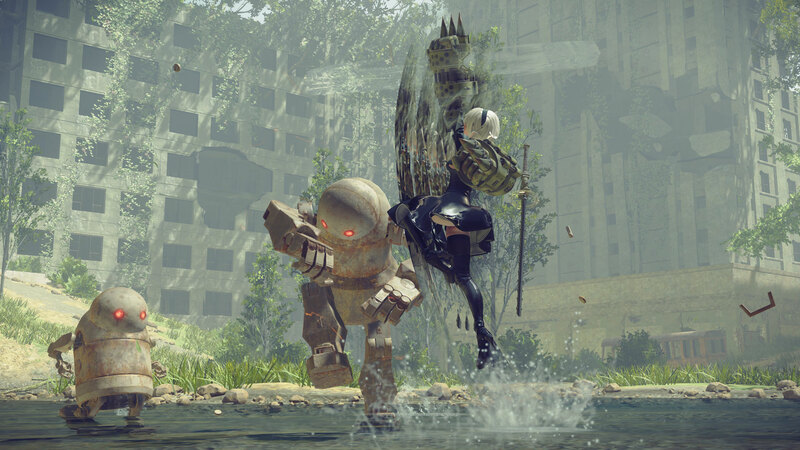 Robots can be improved as the game progresses through various improvements, including new ways and types of attack. ● "Automatic mode" for beginners. Beginners will be able to choose "Automatic mode", which simplifies the attack and evasion.